After donating more than $200 million for the creation of the Overture Center for the Arts, Jerry Frautschi and Pleasant Rowland wanted to ensure its long term success. 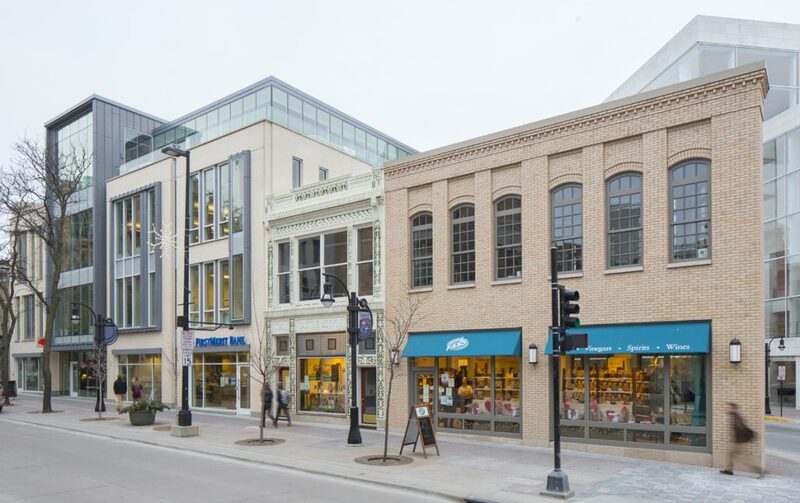 Developing properties directly across the street from the Overture Center met their vision to upgrade and activate the neighborhood. By donating all rent from the development to the Overture Center, an ongoing stream of revenue for its operation is provided. Six buildings were on the existing site, two of which were historic landmarks, and another considered by the community to have historic value. The challenge was to add new construction in a manner that weaved together the various floor levels of the existing buildings to gain larger contiguous leasable areas. The result is spaces have proven very appealing to potential retail and restaurant tenants on the ground floor, and office occupants on the 2nd, 3rd and 4th floors. 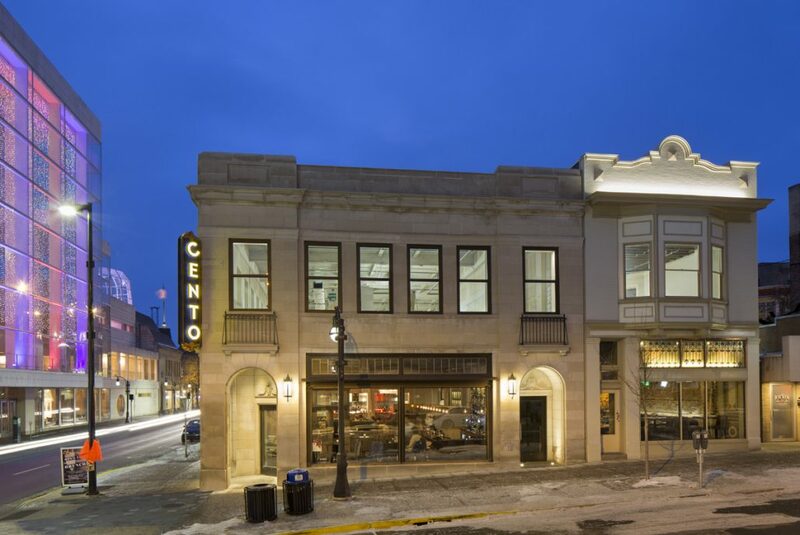 The design respected the adjacent historic structures and the commercial buildings in the area. The main addition consists of twenty-two foot bays with modern articulation relating to the 19th Century character prevalent in the neighborhood. 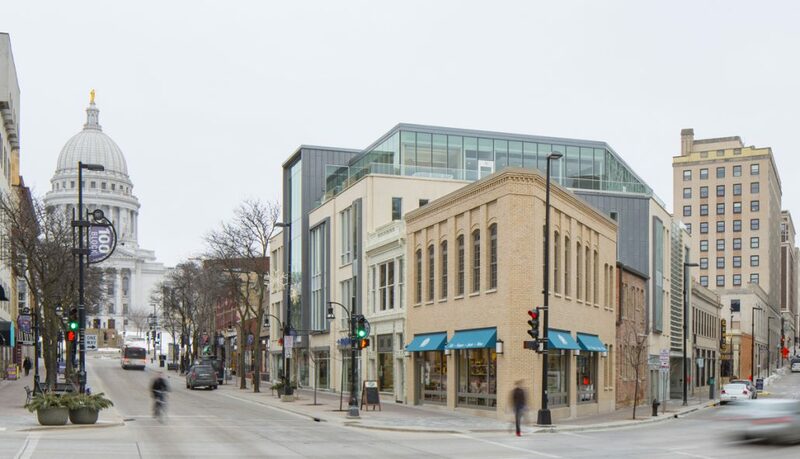 New construction on the corner closely resembles the original façade on State Street, but continues the same treatment on what was previously the “backside” facing Fairchild Street.